"If I touch the kerb I will fail." 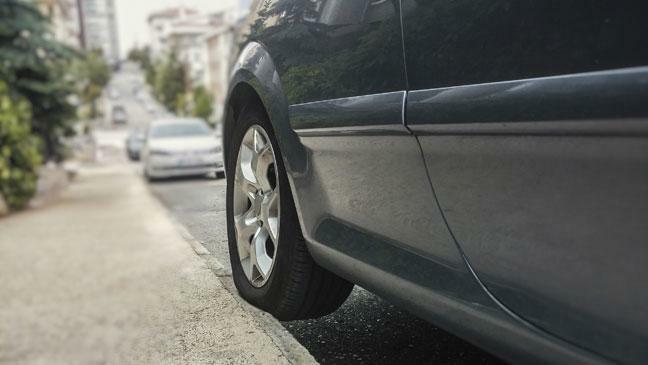 The most common time for touching the kerb during a driving test would be either when a candidate was carrying out a manoeuvre, or being asked to pull up at the side of the road. It does not constitute an immediate fail. It will depend on the severity of the impact, how you deal with it, and whether it has an impact on other road users. For example, if you were to touch the kerb whilst doing the left reverse, and then moved the car away from the kerb, and it didn't involve or affect any other road user, you may just incur a driver fault. If however, you were to hit or mount the kerb, this would indicate a loss of control on your part, and could incur a serious fault. "I'll fail if I stall the car." This is a very popular misconception. It is not strictly true. Let's look at a couple of examples. The examiner has asked you to move off and you forget the car is still in 3rd gear. It stalls. You notice and put it into 1st gear, and manage to move off satisfactorily. In doing so, you haven't affected any other road user at all. No fault incurred. You're approaching a roundabout and the car is in 3rd gear. You come to a complete stop, then see a suitable gap, but forget that the car is still in 3rd gear and it stalls. There is a vehicle behind you. Because you made him stop you will incur a serious fault as the driver only just managed to stop hitting you. Can you see the difference? It's not always what you do, it's whether what you do adversely affects other road users. "If I go the wrong way I'll fail my test." Again this is not necessarily true. It might be extremely inconvenient, but the UK driving test is not a test of your memory. Let's explore this further. Imagine you have been directed to turn left at a roundabout, but you for some peculiar reason, decide to follow the road ahead. If you go ahead by using the correct lane and correctly signal left off, then you will not incur a fault. If, however, you were in the same situation but didn't signal left off, this would result in a fail as it could be potentially misleading to other drivers. "If I stall I need to apply handbrake and put car into neutral." Absolutely not true. In fact, it can very much go against you if you decide to do this in some situations. Suppose you were moving off after a manoeuvre, and for some reason stalled the car. The road is completely level. There would be no need to apply the handbrake or select neutral. Maybe you're about to enter a roundabout, but have mistakenly put the car into 3rd gear, and the car stalls. The last thing you'd want to do in this situation is to apply the handbrake and select neutral. Why? Because it would waste time, and would hold other traffic up unnecessarily. The best course of action in this situation would be to simply select 1st gear, keep the clutch depressed, and then restart the engine and get going! If you were about to move away uphill and the car stalls, then it will be necessary to apply the handbrake...to keep you from rolling backwards, which could be dangerous if you were in a queue! "I must get the manoeuvres perfect first time." It's important to realise that the examiner is not expecting a perfect drive from you on your driving test. This applies to the manoeuvres too. So, if you can see you are about to touch the kerb on the left reverse, the best thing to do is to pull forward, get your gap back, and have another go. 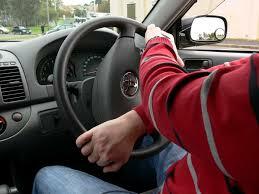 At the very most, you will be awarded a driver fault (minor fault). "I must use the pull push steering technique." Another very common misconception. I really have no idea where this one comes from! As long as you remain in control of the steering wheel and vehicle at all times the examiners will have no reason to award you a serious driver fault. Pull push steering is NOT a requirement for the driving test. However, I certainly wouldn't advocate palming of the steering wheel as I think it's important to create a good first impression. "I must always signal to move off." Simply not true. The Highway Code states that you should signal if it would benefit another road user. Let's explore this further. Imagine you're asked to pull up on the left. There are no other road users approaching you, and none following...so no one would benefit from you signalling left. This includes pedestrians.